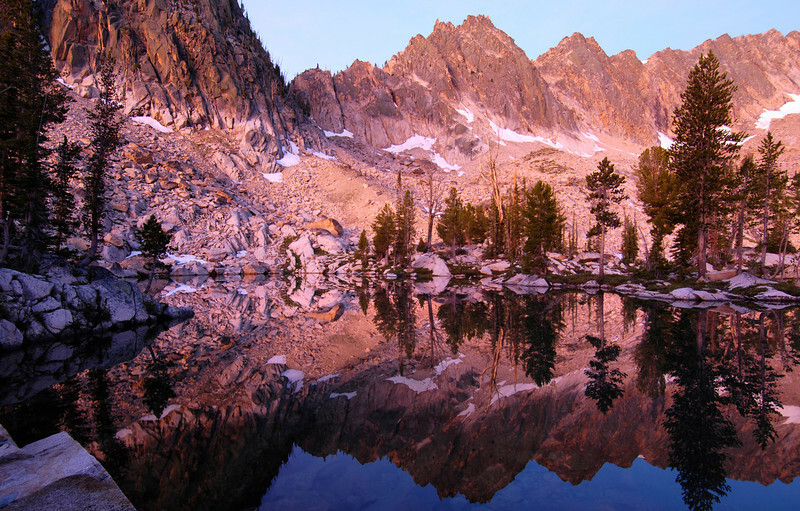 Lucille Lake, high in the Sawtooth Mountains of Idaho, is a seldom visited rocky cirque of cold deep lakes, treed granite islands, and spectacular sunrises. On this particular morning, the sun's rays poured light through a layer of forest fire smoke that had filled the Stanley Basin in the evening. The resulting color that was cast on the mountains was quite unnatural - but beautiful nonetheless.